Pacific Gas and Electric (PG&E) is raising concerns that it might be preparing to file for bankruptcy as questions loom over its involvement in the raging California wildfires. In a filing with the Securities and Exchange Commission (SEC) on Tuesday, PG&E, California’s largest electric utility, revealed that it has withdrawn all of the available cash from its revolving credit lines — an action typically taken by companies before a bankruptcy filing. While PG&E assured Bank of America that this is not the case, an official with the bank still expressed panic over the situation. News of PG&E’s financial managements comes as California officials investigate the cause of several wildfires that have devastated the state. The Woolsey and Hill fires in Southern California have destroyed hundreds of buildings and forced the evacuation of thousands. The Camp Fire in Northern California has become the deadliest in the state’s history. 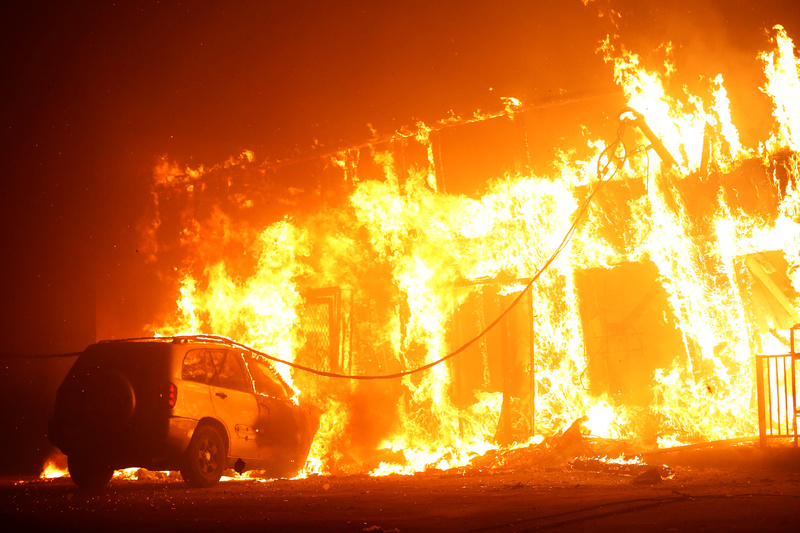 Evidence suggests PG&E equipment could possibly be responsible in starting some of the fires. The utility reportedly reached out to a local woman living in the town of Pulga, California, a day before the fire began, informing her that there were issues with their power lines and they needed access to her property. PG&E did inform the California Public Utilities Commission of a power failure on a transmission line. If PG&E is held responsible for Camp Fire, it wouldn’t be the first time for the company. California found PG&E wires to be the cause of 16 fires in 2017.